Apologies for the long time away. Now that really big scary day-job related test event is over, more time will be had for posting about fun stuff. Last weekend, as I am sure many are aware, was Mother’s Day. Which of course meant making something fast, because usually there is more time between Easter and Mother’s Day. Ah, well. In any case, since I like it when my mom bakes me cookies, I decided to make her an apron to assist with this endeavor. No pattern was used (I didn’t even really make my own, I just measured and cut into the fabric). It was a cotton print from the JoAnn red tag (half off) sale. Fabric! I love the turtles. There was less than a yard on the bold, so really I was dealing with remnants. Not that I should be bragging about being cheap on the Mom day, but the entire project probably cost less than $2. 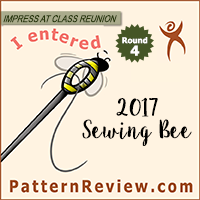 I tried to upgrade the swankiness by using a twin needle. 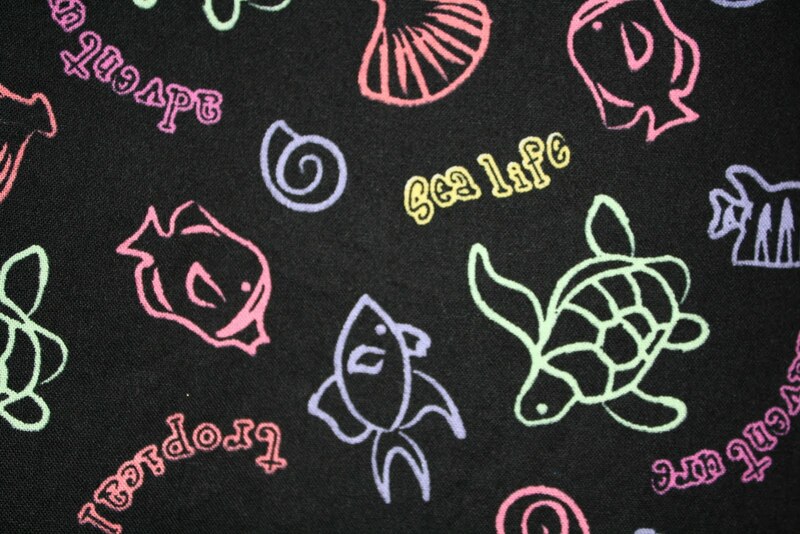 The print is fun and bright – fish, shells, and sea turtles in bright neon colors on a black background. 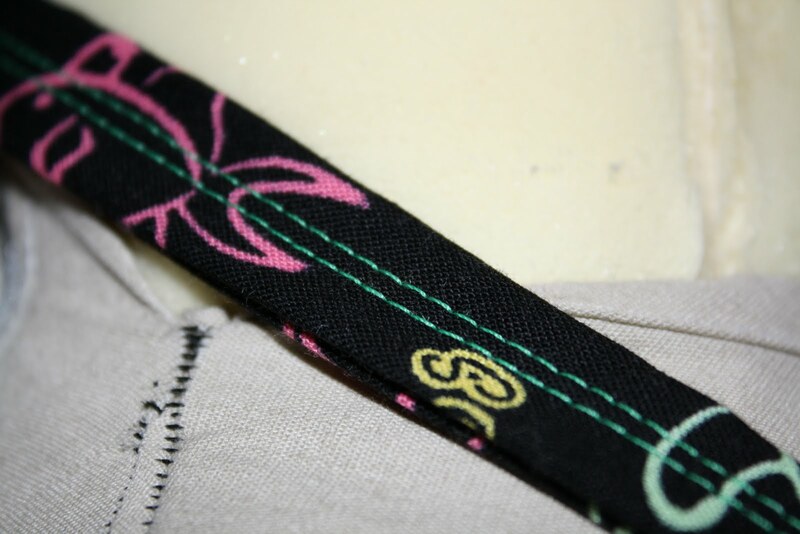 I used bright green top stitching to go with the bright colors. 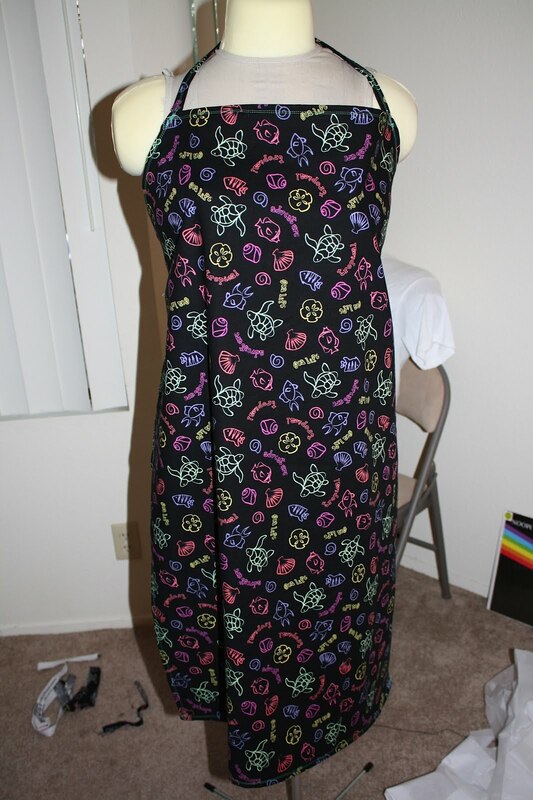 I wanted to add pockets, but didn’t have enough fabric. 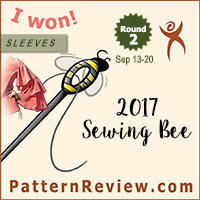 My mom is a bit broader but shorter waisted than I am, so it looks a little large on the dress form, but actually fits her rather well. 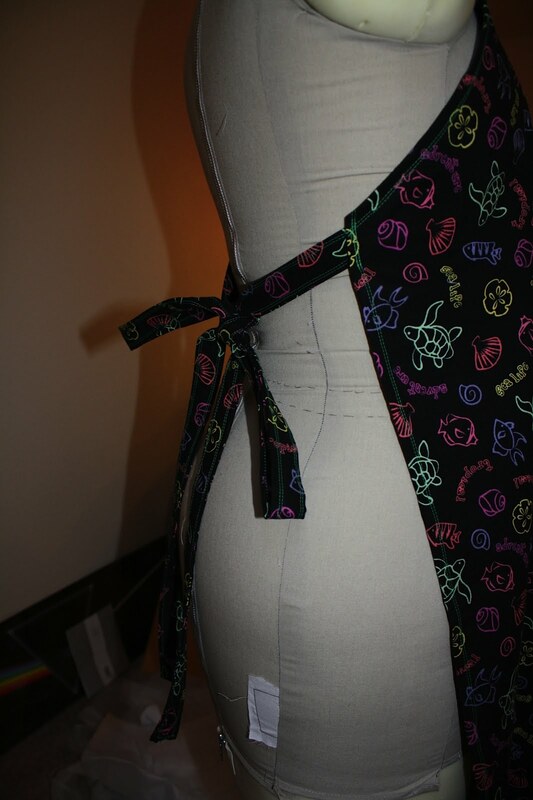 I wanted to make the apron strings really long, so that they would be easy to take on and off, but I also made the apron strings 4 layers thick (double folded fabric twice) so they would easily stay tied without being so thin as to get knotted. Sadly, no cookies have yet been made, but hopefully there will be some forthcoming. Also: today through Sunday Jo-Ann’s will be having $3.99 Vogue, $1.99 McCall’s and 50% rotary cutting supplies. Time to stock up on some blades.